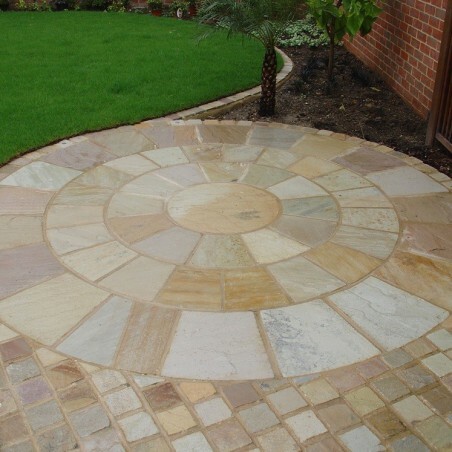 These unusual mint riven sandstone setts boast a light, greenish hue that really pops when placed next to bright lawns and colourful flower beds. 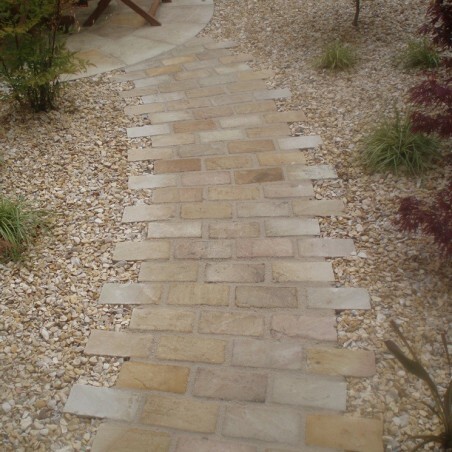 With their earthy tones and wonderfully rustic hand-cut edges, these square mint riven sandstone setts can be used to create durable driveways and pathways throughout your landscape; best of all, they can also be laid indoors, allowing you to bring the same beautiful textures into your kitchen or conservatory too. 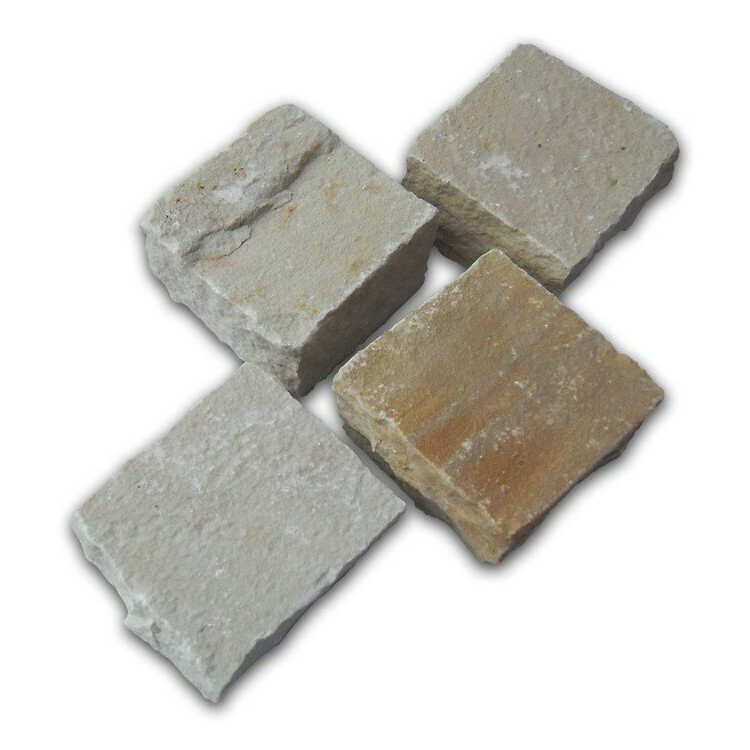 Each pack of mint sandstone setts contains products cut to 610x100x100x40-70mm. 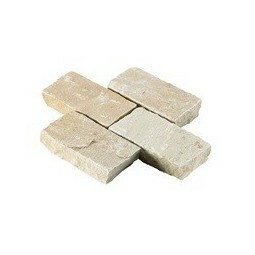 Pick up a full package of large mint riven sandstone setts covering 6.1m2. 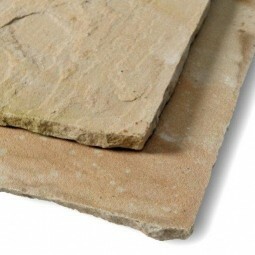 These products have been cut to dimensions of 100x200mm at a random depth of 40-70mm. 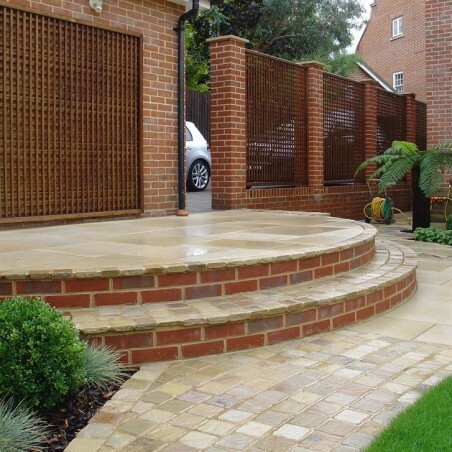 If you’re looking for mint riven sandstone steps, Milestone offers some of the best quality natural stone products in the UK. 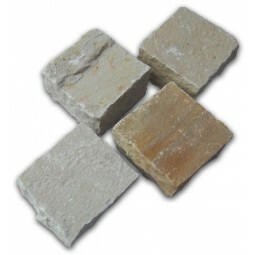 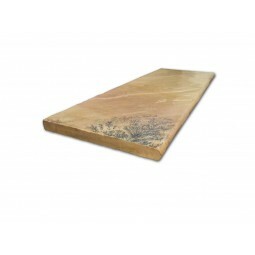 Our mint-coloured sandstone steps are available in either 5, 10, 15 or 25 unit packs.